A baker's dozen (13) small glass buttons or flat-back sew-on jewels, just 1/2 inch diameter. 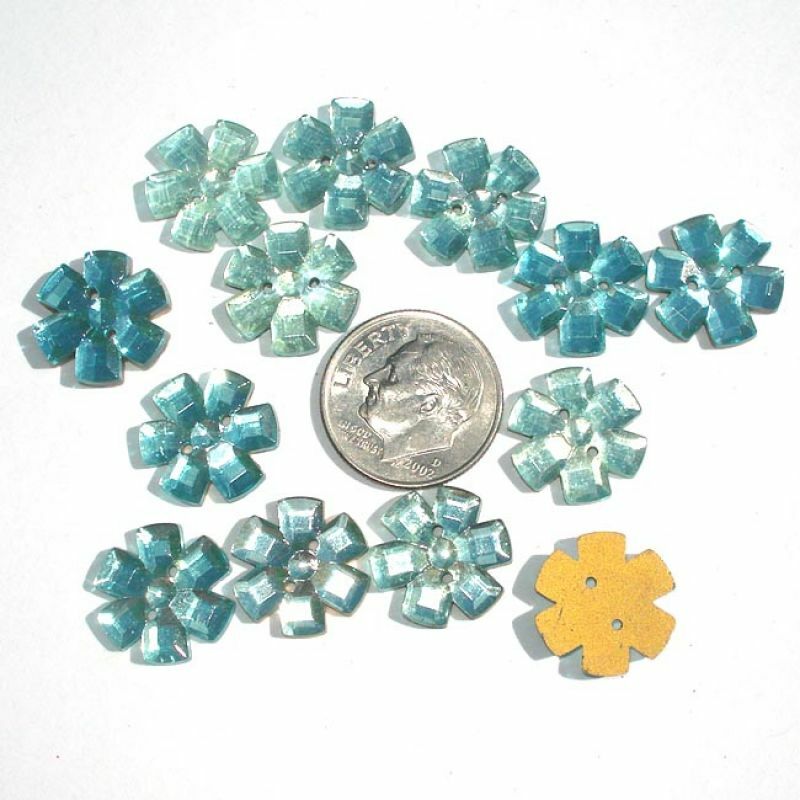 They have square faceted petals, rhinestone-like, and are light blue in color. Some are a little lighter than others but the color variation is magnified in my photos due to bright sunlight. I believe they're Czech. 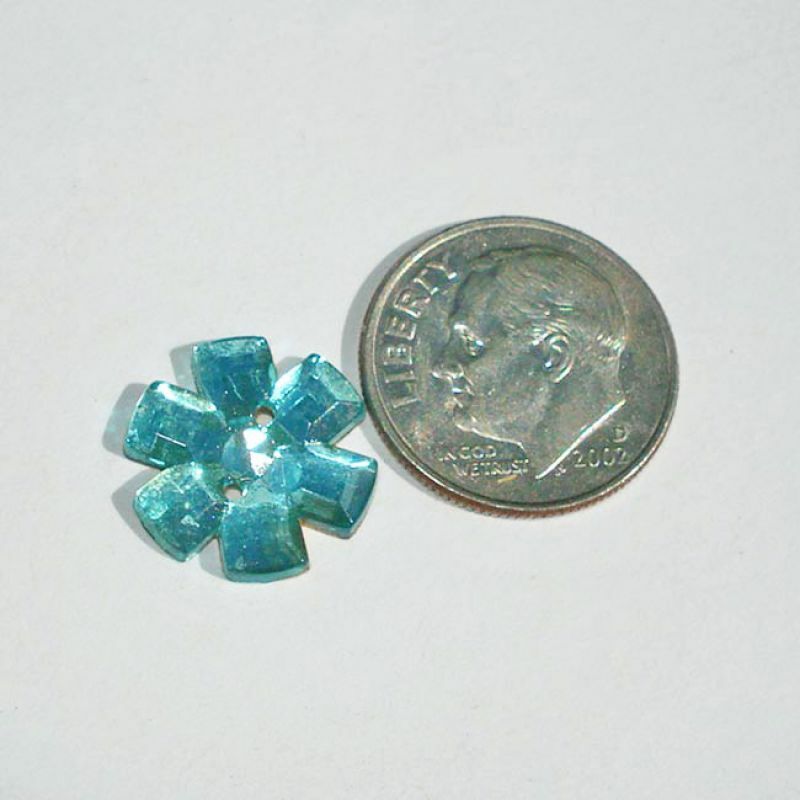 Two sets are available, price is per set of 13 buttons.